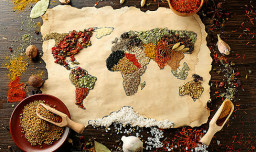 WTM London and the World Food Travel Association (WFTA), the world’s leading authority on food and drink tourism, have partnered to bring the Association’s food travel expertise to this year’s show delegates. “We’re delighted to have the opportunity to bring food travel education to WTM. Food and drink have become a critical focus for most travellers,” shared WFTA Executive Director Erik Wolf.